We would like to thank you all for your dedication & support to help Roundabout grow & make it what it is today. We would not be Roundabout without you. We will host our Potluck Lunch on Thursday 1st December for you, our volunteers, & hope that you will be able to come. 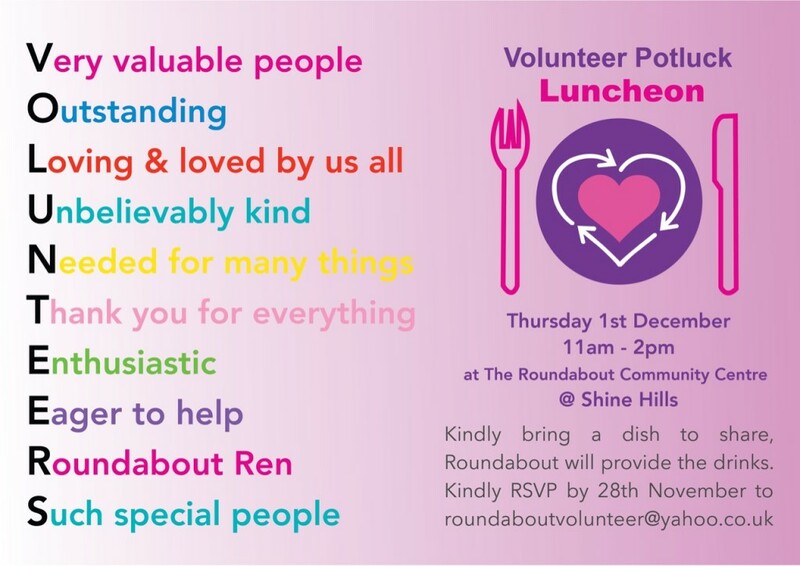 Please feel free to bring friends who want to learn more about volunteering opportunities at Roundabout. We look forward to welcoming you to the lunch on Thursday, 1st December from 11am to 2pm at our Community Centre in Shine Hills.